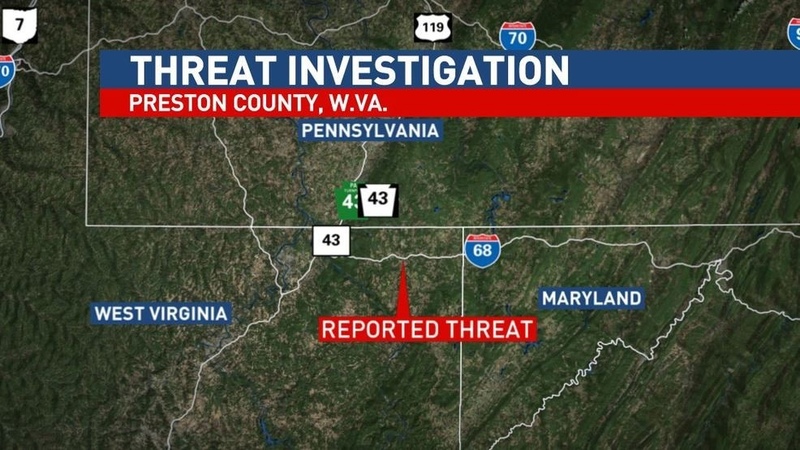 A 42-year-old man is in custody and Interstate I-68 was shut down for almost four hours Wednesday after he threatened assassination of the President and blowing up the Pentagon. The man in custody has not been identified. There were a number of law enforcement agencies on the scene including the FBI. That agency was called in to assist by the WVSP, Catherine Policicchio, public affairs specialist, with the Pittsburgh Field Office, said. The Bureau of Alcohol, Tobacco, and Firearms “lent their expertise” to the investigation, according to a rep from the agency. He referred additional inquiries back to the West Virginia State Police.